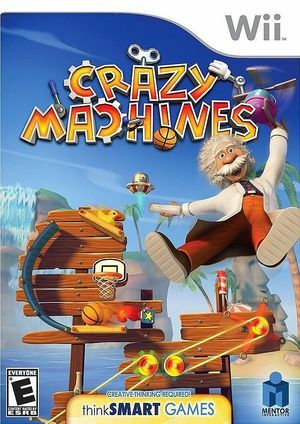 If you've ever wanted to set up an elaborate contraption just to do a simple task, then Crazy Machines is just what you're looking for. The Professor has unfinished machines located all over the world and it'll be up to you to complete his contraptions to set off a wacky chain reaction. There are 100 levels of mechanical mechanisms for you to solve alone or with a friend, cooperatively or competitively. Create your own instruments of insanity in Sandbox Mode and become a professor yourself! The graph below charts the compatibility with Crazy Machines since Dolphin's 2.0 release, listing revisions only where a compatibility change occurred. This page was last edited on 7 January 2018, at 05:11.